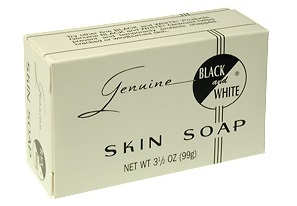 Black & White Soap aids in soothing itching, burning and stinging due to acne, eczema and other skin problems. From the Cayce Health Care Philosophy: "Use the Black & White creams for face, for hands, for body. These will keep the irritations from making the openings, or large pores." (3081-1) It will leave your skin feeling fresh and silky smooth. 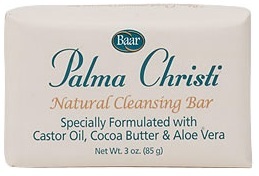 This soap lathers freely, cleanses thoroughly and rinses off easily. Ingredients: Sodium tallowate, Sodium Cocoate, Water, Glycerin, Sodium Chloride, Acetylated Lanolin Alcohol, Magnesium Carbonate, Fragrance, Propylene glycol, titanium Dioxide, D&C Red #30 Lake, D&C Orange #4, Tetrasodium EDTA, BHT. Our Exclusive Body Beautiful Massage Oil and Skin Lotion is made from pure Extra Virgin Olive Oil, 100% pure Peanut Oil and Lanolin. This product is all natural and unsurpassed in its quality. Maintain your skin's vitality; moisturize and nourish your skin for a healthy complexion all over. Moisturizes and nourishes your skin. - Shake well before use. Use as a daily moisturizer for both body and face, add to your bath, use to remove make-up, and great for use after shaving. - Great for therapeutic massage. Take a bottle with you to your next massage appointment! - This is one of the more frequently recommended massage formulas described in the Edgar Cayce Health Care philosophy, often for use after the Wet Cell therapy. Peanut Oil, Extra Virgin Olive Oil, Lanolin, Jasmine Oil. Peanut Oil, Extra Virgin Olive Oil and Lanolin. 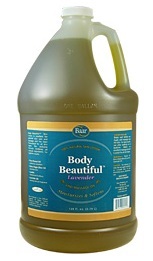 Our exclusive Body Beautiful Massage Oil and Skin Lotion made from Extra Virgin Olive Oil, 100% pure Peanut Oil and Lanolin has the wonderful aroma of Lavender, known for its calming, relaxing and soothing effects. This product is all natural and unsurpassed in its quality. Maintain your skin's vitality; moisturizes and nourishes for a healthy complexion all over. Peanut Oil, Extra Virgin Olive Oil, Lanolin, Lavender Oil. - Calms the mind and balances emotions. - Cleanses and tones the skin. 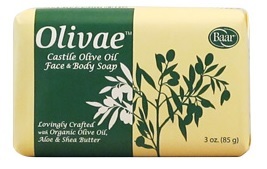 Pamper your skin with our luxuriously moisturizing Olivae Castile bar soap. Olivae envelops your skin with Organic Olive Oil, Aloe and Shea Butter while it replenishes and nourishes with a special blend of botanical extracts. Specially formulated for daily use, Olivae Castile leaves skin soft, smooth and healthy-looking. Organic Olive Oil ~ rich in vitamins, antioxidants and essential fatty acids that nourish and deeply moisturize, helping the skin to retain its natural oils. This moisture-trapping emollient envelops your skin forming a protective barrier against dirt and bacteria without clogging pores. 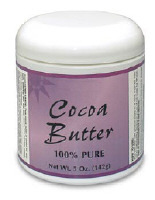 Pure Cocoa Butter is an all natural moisturizer that's safe for use on even the most sensitive skin types. It is popular for sunburn, dry chapped skin, scar tissue and stretch marks. In its natural state, cocoa butter is solid at room temperature, and may vary in color and appearance. 100% Pure Cocoa Butter is food grade. Contains no fillers, preservatives, additives or artificial colors. No solvents are used during extraction. The Cocoa Butter is 100% Natural and Hexane-Free. It is naturally hard and color/texture will vary depending on temperature. Cuticura Ointment is the original formula enriched with Aloe Vera and Vitamin E. This world renowned ointment (since 1865) is helpful for temporary soothing relief of pain and itching associated with minor burns, sunburn, minor cuts, scrapes, insect bites and minor skin irritations. Enriched with Vitamin E and Aloe Vera. Suggested Usage: Adults and children 2 years of age and older: Apply to affected area not more then 3-4 times daily. Children under 2: Consult a physician. Inactive: Aloe Vera, Annatto, Synthetic Beeswax, D&C Green #6, D&C Red #17, D&C Yellow #11, D&C Violet #2, Isopropyl Palmitate,Sulfur Coloid, Mineral Oil, Paraffin Wax, White Petrolatum, Pine Oil, 8-Oxyquinoline base, Tocopheryl acetate (Vitamin E). 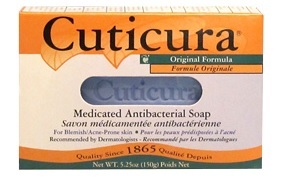 Cuticura medicated antibacterial bar soap cleans and controls oil & germs that can cause blemishes. This pure and gentle, non-comedogenic cleansing formula contains special non-drying ingredients to deep clean and remove excess dirt and oil that may cause blemishes and acne. To keep your skin looking healthy all Cuticura soaps contain TCC, an antibacterial ingredient that conditions your skin and provides long-lasting antibacterial protection. Suggested Usage: Wash twice daily with Cuticura and warm water as part of a daily cleansing routine. Rinse thoroughly with cool water. Inactive Ingredients: Soap (Sodium Tallowate, Cocoate or Palm Kernelate Types), Water, Glycerin, Coconut Acids, Petrolatum, Parfum, Titanium Dioxide (CI 77891), Ultramarines (CI 77007), Pentosodium Pentetate, Tetrasodium Etidronate.. Directions: After cleansing skin apply Gold Cream™ moisturizer with fingertips in a gentle, circular massaging motion to rejuvenate areas that show signs of aging. by William A McGarey, M.D. A hopeful path for the millions who are affected or impaired by the pain of arthritis. 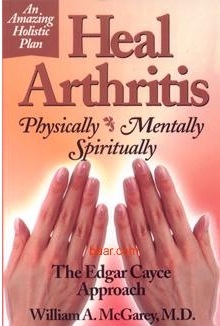 This book examines physical conditions that contribute to arthritis and what can be done to eliminate them. It includes the use of the castor oil packs and diet, using a correct mental attitude, and understanding the role played by the energies of the body. 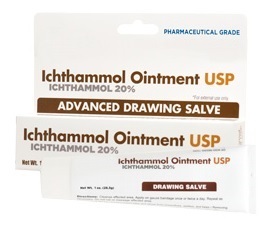 Our Ichthammol Ointment is an advanced drawing and anti-itch salve for external use. Recommended for application to plant irritations such as nettles or poison ivy, treating insect bites and stings from mosquitoes, spider and bees, and drawing splinters and slivers. Provides soothing relief for ingrown toenails and minor skin irritations. Edgar Cayce referred to it also as Icthyol Ointment or Ichthyol Ointment, and recommended for skin tenderness or breaking of tissue, abrasions and as the "best application for bed sores." "Keep the Icthyol Ointment over those areas where there is the broken tissue, or where there are the irritations." "In those areas under knees and on hips, where the sores are formed, do keep the Icthyol Ointment." "The only changes we would give from that being applied would be to use the Ichthyol Ointment on the right limb; that is, the foot, the ankle, the areas where there has been the tenderness by the breaking of those areas that become sore." "On those irritated places, as on the knee and on the hips, we would continue to use the Ichthyol Ointment." "... for scratches and itching..."
Cleanse and dry the affected areas. Apply ointment to the affected area 1-2 times daily or as directed by a physician. May also be covered by a sterilized gauze dressing. Inactive Ingredients: Bis-Diglyceryl Polyacyladipate-2, Petrolatum. Warning: For external use only. Do not use in eyes. Ask a doctor before use, if you have a deep puncture wound or serious burns. Stop use and ask doctor if redness, irritation, swelling or pain persists. In case of accidental ingestion, seek professional assistance or contact a Poison Control Center immediately. Keep out of the reach of children. Avoid contact with metal solids. Keep container closed. Avoid exposure to temperatures above 30°C (86°F). Cayce recommended this all natural formula as an emollient for the hands, arms, or face. The deeply penetrating combination of olive oil, rosewater, grain alcohol, and lavender oil has a remarkable ability to soothe and help heal dry skin areas. Carry Lavender and Roses with you for all day silky skin! Our Liquid Lanolin is 100% Natural, an excellent moisturizer and emollient. It soothes and softens the skin to reveal your skin's natural beauty. Provides a natural, healthy glow wherever applied. May be used with other oils for massage or general skin care. Suggested Use: As a skin conditioner, salve and emollient for sealing your body's moisture. Use by itself or mix with other carrier oils. Olive Oil, Oil of Rose Hips, Peanut Oil, Sesame Seed Oil, Castor Oil, Sassafras Oil, Eucalyptus Oil, Tincture of Turpentine. Shake well before use. Separation is normal. Apply and massage into the skin. For best result, use after bathing or at bedtime. Peanut oil, Extra Virgin Olive Oil, Rose Water from rose oil and Liquid Lanolin. Shake well before use. Separation is normal. Apply and massage into the skin. For best results, use after bathing or at bedtime. What Makes NaturaRose so Special? We use a pure natural blend of Virgin Peanut Oil, Extra Virgin Olive Oil, 100% Natural Rose Water and 100% Natural Lanolin. This luxurious formula has the subtle fragrance of Spring. NaturaRose is an original formula designed to keep your skin beautiful. 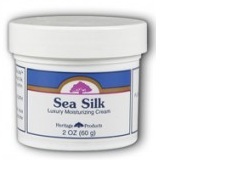 This silky lotion helps reduce the effects of dryness and aging. It will deeply moisturize & protect your skin against impurities, without clogging pores. There are no artificial colors. Rose Water has been used for centuries as part of a skin care regime. It is known for its natural toning effects on the skin. Rose water also has certain antiseptic and antibacterial properties which remove impurities and soothe acne, pimples and other skin inflammations. Rosewater balances the pH levels of the skin, keeping it moisturized and fresh. Virgin Peanut Oil is a protective emollient. It has a very light nutty aroma because the oil is from the first cold pressing of the peanut. This Virgin Peanut oil shields the skin against damaging free radicals while diminishing fine lines and wrinkles. Baar's exclusive Virgin Peanut Oil is especially good for dry skin as it helps the skin retain moisture. Extra Virgin Olive Oil penetrates deep into the skin's surface. It acts as a cleansing agent as well as a moisturizer. Olive Oil provides a long-lasting shield of protection to keep the skin feeling soft and smooth. Lanolin is often used topically to soothe minor burns, abrasions and rashes. It is also known to be extremely helpful for delicate, dry or chapped skin. This is because Lanolin has the ability to hold moisture and keep the skin from drying and chapping. Olivae Liquid Soap moisturizes while gently cleaning. This unique formula combines natural herbal extracts with gentle cleansers that leave your skin soft, smooth and naturally healhty looking. Specially formulated with Olive Leaf, Lavender, Chamomile, Rosemary, Sage & Thyme; this formula offers antibacterial properties without drying your skin. Olivae Almond Skin and Massage oil is formulated according to Edgar Cayce's recommendations,using oils that moisturize and nourish skin. Absorbs quickly without clogging pores. Natural Almond fragrance. No artificial colors or preservatives! One of our most popular lotions for all over skin care. Feel your aura glow. Massage into the skin. Use as a daily moisturizer or in the bath for silky, smooth skin. Peanut Oil - an excellent emollient and lubricant. Olive Oil - to nourish the skin. Lanolin Oil - to moisturize and soften. Almond Oil - to enhance your general skin care. Vitamin E - to maintain your skin's vitality for a healthy complexion all over. "Great for sore muscles and joints, it has a light and pleasant scent. And the results, you end up with beautiful skin. Enjoy and PLEASE do not stop selling this product." Ingredients: Mineral Oil, Sassafras Oil, Witch Hazel and Light Petroleum Oil. Psoriasis Cream contains Salicylic Acid, an ingredient proven to provide relief from itching and scaling, blended in a soothing base of natural herbs and oils including Citrus, Cod Liver Oil, Echinacea, Jojoba Oil, Lemon Grass Oil, Rose Hip Seed Oil, Vitamin E Oil and Yellow Dock. This soothing formula helps relieve the itching, irritation, redness and scaling of Psoriasis, Eczema and Seborrheic Dermatitis. Wash Affected areas with mild soap and water. Pat dry. 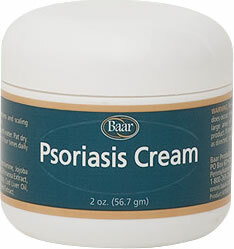 Apply Psoriasis Cream to affected areas, 1-4 times daily or as directed by a physician. Inactive: Water, Jojoba Oil, Sarsaparilla, Yellow Dock, Echinacea, Rose hip seed oil, Cetyl Alcohol, Vitamin E Acetate, Cod liver Oil, Beeswax, Lemongrass Oil, Allantoin, Grapefruit Seed, Stearic Acid, Triethanolamine. Psoriasis Medicated Scalp and Body Wash helps fight the itching, redness, irritation and scaling associated with Psoriasis, dandruff and seborrheic dermatitis. The active ingredient, Salicylic Acid, is combined with a soothing, moisturizing base that includes the following natural ingredients: Allantoin, Aloe Vera Gel, Carrot Oil, Echinacea Extract and Jojoba Oil. Free of preservatives, parabens, mineral oil, petroleum, animal materials, artificial colors and artificial fragrance. Scar-Ban is specifically formulated for massaging into scar tissue. This emollient helps to return the naturally soft look and feel to your skin. We often overlook or cover up damaged or scarred tissue, but with time its beauty can often be restored. This rich formula of soothing and moisturizing natural oils is designed to improve the appearance of body scars and to help return the naturally soft look and feel to your skin. A scar is not necessarily the end point in the healing process. May be used as a basic emollient and skin softener. Packaged for use by Massage Therapists, Health Care Practitioners, Cosmetic Clinics and home use. Olive oil, Peanut Oil, Lanolin and Camphor. Sweetfeet is a natural invigorating massage oil that relieves tired, aching or stiffness in the ligaments and tendons of your legs, feet and knees. "This would be good for anyone that stands on the feet much, or whose feet pain, or ankle or knees or tendons." Massage thoroughly into legs, knees and especially feet. Use only an amount the body will absorb. Russian White Oil, Alcohol, Witch Hazel and Oil of Sassafras. An Edgar Cayce Formula. This gentle astringent cleanser is specially formulated to meet a multitude of cleansing and conditioning needs for all skin types and varieties. It is a mild and non-drying formula, which cleans away remaining traces of soap film, cleanser or make-up, and removes excess oil, leaving your skin feeling fresh, healthy and smooth. BPA Free Bottle. Suggested Use: Use as often as necessary. Moisten a cotton pad and gently rub or massage into desired area. Ingredients: Water, Alcohol 14%, Witch Hazel Distillate/Extract. 100% Natural. Caution: KEEP OUT OF REACH OF CHILDREN. For external use only. Avoid contact with eyes. If contact occurs, flush thoroughly with water. 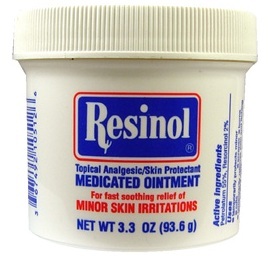 This first aid ointment helps prevent skin infection in minor cuts, wounds, and abrasions. As long as Yodex remains in contact with body tissues in minor cuts, wounds and abrasions, the iodine gradually separates from the molecule of the carrier and inhibits the growth and action of bacteria and promotes healing. Cayce suggested electrifying the product. This process of electrifying was developed and perfected by Dr. Bruce Baar in the 1980's. Dr. Baar's unique process not only includes electrification but also includes the effect of the specialized herbs from the Bissey formula. Baar Atomic Iodine™ is excellent for external application to cuts, boils, bites, rashes, poison ivy and more. A truly unique and economic product that is electrified as indicated in the Edgar Cayce Health Care Philosophy. One drop in a half glass of water provides approximately 600 mcg of nascent Iodine which is more than the minimum daily requirement. Apply as needed, topically to skin. Allow time to air dry. Bandaging is discouraged after application as it may cause tissue irritation. 1% solution of Electrified Nascent Iodine (approximately 600 mcg iodine per drop). If used internally, do not use in conjunction with any other concentrated source of iodine. Over-stimulation of the thyroid gland with resulting nervousness may be experienced. People who are hyperactive or have cardiovascular difficulties should not use this because glandular stimulation might over stimulate the heart.